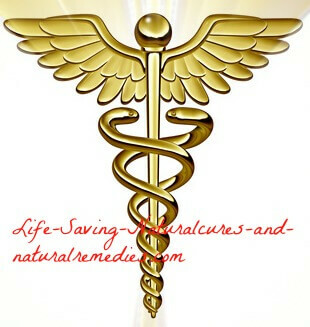 Natural Diabetes Treatment That Gives Proven Results! If diabetes is not controlled correctly, or worse, left untreated (either medically or naturally) it can lead to some pretty awful and permanent health problems including blindness, kidney failure, blood vessel damage, infections, cardiovascular disease, nerve damage, high blood pressure, stroke, loss of limbs, and in severe cases, coma and death. Unfortunately, many people with diabetes actually treat it like it’s no big deal, but the reality is this disease is very serious and should definitely not be taken lightly! The carbohydrates from your food are converted into a type of sugar called glucose. (Glucose is the ideal fuel for your body's cells, by the way). This sugar makes its way into the bloodstream and circulates around the body until the pancreas (the large gland behind the stomach) goes to work. The pancreas secretes a hormone called insulin, and this hormone is what instructs your body’s cells to take in the glucose. Once inside the cell, the glucose is either used as fuel to generate heat or energy or it gets stored as fat. With diabetes sufferers, however, it doesn’t work like this. Instead, the pancreas either produces very little or no insulin or the body’s cells reject the insulin. Either way, the cells starve of glucose. Mild symptoms of diabetes include; fatigue, weakness, and frequent urination. Harsher symptoms include; dizziness, headache, sweating, trembling, labored breathing, and in the worst of cases, loss of consciousness. The Difference Between Type I and Type II Diabetes. There are of course two types of diabetes mellitus - type I and type II - and both are very different. Then there’s type II diabetes, or adult-onset diabetes, which is the most common form and makes up around 95% of all diabetics. With type II, the pancreas actually produces plenty of insulin but the cells become resistant to the hormones action (insulin resistant) and basically stop “listening” to its instructions. The side effect is no glucose is taken in by the cells (so no fuel for heat or energy is created), and instead, the glucose is left to circulate and build up in the bloodstream until it’s eventually flushed out (hopefully) in the urine. The problem is, constant high levels of glucose in the blood is an extremely serious and dangerous health problem. So the bottom line with diabetes medications is this… Yes, synthetic insulin is needed for type I diabetics, and type II diabetic drugs do treat the symptoms, albeit with less than healthy ramifications. But as you’re about to discover, you can actually use natural treatments and home remedies for your diabetes to completely eliminate this health problem instead of having to rely on pharmaceuticals. And best of all they’re safe, much healthier, and don’t come with harmful side effects! First off, we need to make it very clear that if you’re currently on any diabetes medication or taking insulin then you must continue to do so and you must continue to check your blood glucose levels daily. Never, ever quit taking any medication cold turkey and always consult with your doctor or health care professional first before even thinking about doing this. With that said, if you follow our recommendations to the letter we guarantee that you will eventually be able to throw your medication away and never need it again! Now, if you’ve already done some of your own research into the various diabetes treatments and remedies that are currently available, you would have quickly discovered there are a lot of options out there. The problem with this is it can become quite overwhelming and you're usually left more confused than ever afterwards. So what we’ve done here is list the top 12 home remedies for diabetes in order of importance. 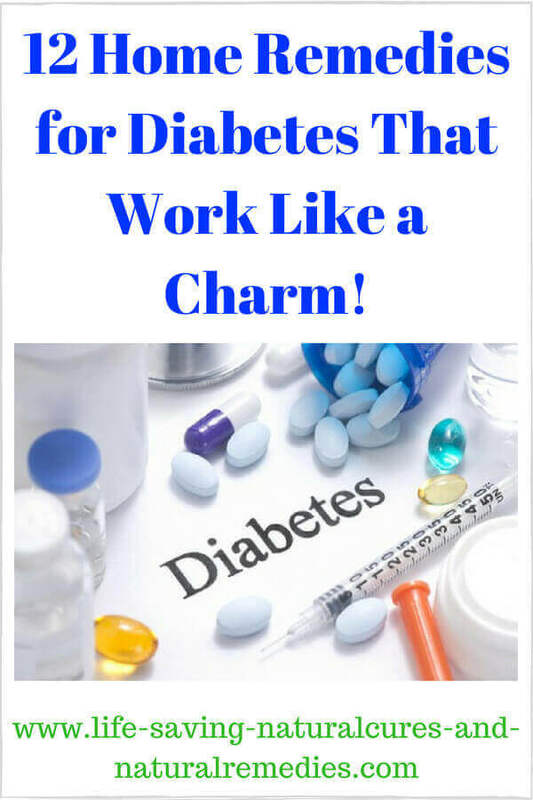 These are considered to be the most effective diabetes treatments and really do work extremely well (as long as you stick with them of course). We also need to point out that these diabetes treatments will help reverse both type I and type II diabetes. What’s really exciting at the moment is new research is now beginning to uncover the fact that both type I and type II diabetes are actually auto-immune diseases.3 And contrary to popular belief, auto-immune diseases can be reversed! The humble coconut really is a nutritional marvel. To date, there are over 160 health uses and treatment modalities that coconut oil is known to help with. And diabetes is certainly on the list! Dozens of studies, combined with real life anecdotal evidence, have been able to overwhelmingly prove that organic coconut oil can successfully treat and reverse type II diabetes. But what’s also really exciting is more recently it’s been found to help tremendously with the symptoms associated with type I diabetes. 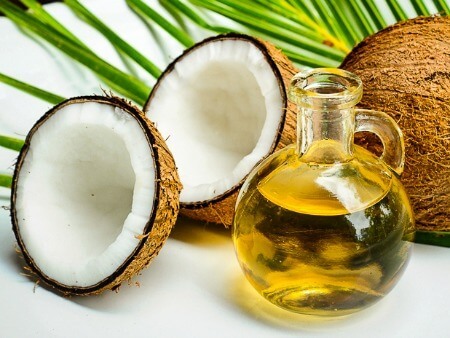 One of the main reasons why coconut oil treats both of these diseases so effectively is it significantly reduces carbohydrate and sugar cravings! “The immune system may be attacking its own cells because the immune system has been weakened by microbes and parasites in the organs, or the damage may be done by microbes and parasites attacking the organs directly”. Either way, the pancreas and cells cannot do their job properly or produce/take-in insulin under these toxic and extreme conditions. The good news, however, is coconut oil is extremely effective at killing off pathogens within the body and boosting the immune system. So although it has yet to be (officially) proven in studies, this may also be another powerful reason why coconut oil works so well to reverse both juvenile and adult onset diabetes. How Much Oil Do You Need To Take Every Day? The minimum amount of organic virgin coconut oil you need to have every day for it to be effective is 3 tablespoons taken in divided doses throughout the day. However, because you can’t actually “overdose” on coconut oil you can safely take more if you want to. But having said that, it’s always a good idea to start off slowly and then gradually build up. The only mild side effect you may experience if you do happen to have too much of the oil is a slight dose of the runs. We also suggest you use coconut oil in your cooking as much as possible (instead of harmful vegetable oils and margarine) and mix it in smoothies and shakes to get your required amount if you don’t like the taste (I prefer to eat it straight off the spoon myself. Yum!) Just make sure the brand of coconut oil you purchase is organic virgin coconut oil (like these ones). Do not use any other type as these are highly toxic and can be rancid! Cinnamon reverses diabetes by softening the body's cell membranes, boosting the immune system, and most importantly, mimicking the action of insulin to regulate blood sugar levels. It helps enormously with both type I and type II diabetes, and over time, can help reduce and even eliminate synthetic insulin and drug dependency among sufferers. You can easily buy Ceylon cinnamon powder (the best form of cinnamon for diabetics) in bulk from most health food retailers or online… and it’s very cheap! Take a teaspoon of cinnamon 3 times daily with or without meals and use it in your cooking whenever you can. You can also make up a delicious cinnamon and ginger tea for an extra daily supply if you wish (ginger is also very good for treating diabetes). If you happen to not like the taste of cinnamon, simply substitute the powder for the Ceylon cinnamon capsules. Do keep in mind that cinnamon can thin the blood so if you’re currently taking any anti-clotting medications (Warfarin, etc) or if you suffer from bleeding disorders, be sure to check with your health care professional first. This is one natural remedy for diabetes that you rarely hear about, but it’s actually one of the most powerful. Olive leaf extract is the strongest pathogen killer in existence... bar none! Back in 1969 the Upjohn Company, led by Dr. Harold Renis, did extensive research into the therapeutic benefits of olive leaf extract. They tested OLE against 30 different viruses, microbes and parasites that are known to reside in the human body to see just how many it could eradicate. Remarkably, it killed every single one with ease! 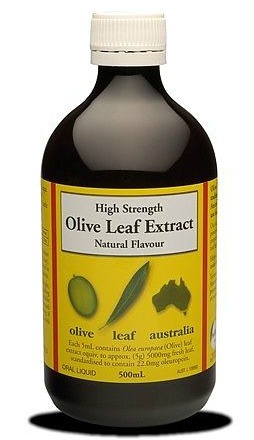 How much olive leaf extract you should take depends greatly on the strength of the product you buy. OLE comes in a variety of potencies, from standard to super-strength. We recommend you avoid the standard strengths as these aren’t strong enough in our opinion, and instead, go with the super strength varieties for maximum effect. For this to be an effective treatment, you need an olive leaf extract supplement that has an Oleuropein content of 20-25% or more (Oleuropein is the active ingredient that kills the microbes and parasites and boosts the immune system). For dosages, keep in mind that you cannot overdose on olive leaf extract (it’s very safe) so it’s recommended that you take double the required daily amount listed on the side of the bottle, on an empty stomach, for the first 3 months to completely kill off all pathogens in the body. Then drop back to the minimum amount (maintenance dose) after that for a further 6 months. You can then either take OLE indefinitely at a low "maintenance" dose or take it on a 3 month on 3 month off cycle just to give yourself a regular detox and “cleanse”. You'll definitely need to do this or else you'll find that over time microbes and parasites will begin to invade your body once again and call it home! Note: In the beginning olive leaf extract can cause a phenomenon known as Herxheimers reaction. This is simply a "die off" effect caused by the rapid detoxing of the body. It can produce a variety of minor symptoms that usually only last for a few days, however, you should be aware of these symptoms just in case. This article explains it all further, along with what to look out for... Herxheimer's Reaction Symptoms. But if you do have type I or type II diabetes, here’s how chromium and vanadium will help. Firstly, chromium is part of what’s known as Glucose Tolerance factor (GTF) which regulates insulin production and levels in the body. When it’s combined with vanadium, it’s able to normalize blood sugar levels and cholesterol in the blood. So if your insulin level is low, chromium and vanadium will regulate it up. If your insulin level is too high, they will regulate it down. What this means is these two minerals regulate normal insulin activity in the body and therefore control both hypoglycemia and Hyperglycemia. For those who need the scientific proof, scientists at Columbia University in New York reported in the American Journal of Clinical Nutrition back in 1980 that chromium was able to significantly help elderly people with diabetes who took it in the form of brewer's yeast.9 Researchers stated after the study that... "Chromium-rich brewer's yeast improved glucose tolerance and cholesterol in elderly normal and diabetic subjects". They also said… "An improvement in insulin sensitivity also occurred with chromium supplementation". Because our food soils are now devoid of these two crucial minerals, you are going to need to supplement. The best way to do this is by combining a specific chromium and vanadium supplement with brewer’s yeast. If you can afford it, it’s also a good idea to take a high quality colloidal mineral supplement as well. These liquid formulas contain the full spectrum of minerals your body needs every day plus high absorbable amounts of chromium and vanadium. You can purchase any of these supplements from your local health food store or online from places such as Amazon. Here's some of the top chromium and vanadium combo supplements on the market if you're interested... Best Choice Chromium Vanadium. You can also buy black seeds or the oil from most health food retailers or online. 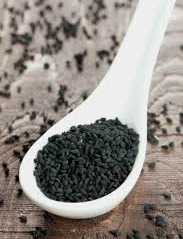 Black seed oil is considered the most potent and effective of the two so try and go with this if you can. For dosages, simply follow the directions on the bottle. Liquid ACV or the Capsules? One of the bonuses of using ACV for diabetes is it’s not expensive to buy and it lasts for ages… as long as you buy the right type. When it comes to purchasing the liquid apple cider vinegar, you definitely want to avoid all “clear” looking and processed ACV’s. This is not the apple cider vinegar you should be drinking. You need the murky looking ACV as this still contains the all important “mother” apple (it should tell you on the bottle as well). To use, simply mix one to two tablespoons in a glass of warm filtered water and drink on an empty stomach. Do this 3 times per day, particularly first thing in the morning and before going to bed. If however, you can’t stand the taste or smell of the liquid apple cider vinegar, you can now opt for the ACV capsules instead. These work just as well and are easy to take. For dosages, follow the directions on the bottle. Remarkably, magnesium researcher and expert Dr Carolyn Dean says that a prolonged magnesium deficiency will actually lead to diabetes in 99.9% of cases! She also says that you can reverse diabetes quite easily once you get your magnesium levels back up to where they’re supposed to be. Where Do You Get Your Magnesium From? Boil up some distilled water (distilled water keeps longer than regular water) then add 2 cups of boiled water and 2 cups of magnesium chloride flakes to a glass bowl or pot. Mix thoroughly until the flakes are completely dissolved. Leave to cool then mix again before pouring the contents into a glass or plastic spray bottle (glass is preferable). Shake well before using and apply 8-10 spray's on the skin to various parts of the body (mainly arms, legs and torso). Leave on for at least an hour before showering. Do this once a day. It’s important to note here that spraying yourself with magnesium oil every day can dry out your skin. So after you've showered, it’s a good idea to apply some organic coconut oil to your skin to help moisten and replenish. This will also help with your diabetes even more because of the powerful health benefits of coconut oil for diabetes sufferers. If you find that you absolutely hate using the magnesium oil spray (some people have a hard time getting used to it) then you can substitute this for an oral form of magnesium - magnesium citrate. Magnesium is poorly absorbed orally, EXCEPT when it's in the form of magnesium citrate. Do not bother with any other magnesium supplements as they will not work. Here's what you need to look for... Magnesium Citrate Capsules and Powders. Matcha green tea is another terrific remedy for diabetes. It contains the potent EGCG antioxidants, which are well-known for their ability to increase insulin sensitivity and stabilize blood glucose levels. They basically stop the wide swings and spikes in glucose levels that diabetics have to contend with on a daily basis, along with helping in the uptake of insulin by the cells (this recent study conducted by the University of Pennsylvania confirms this). 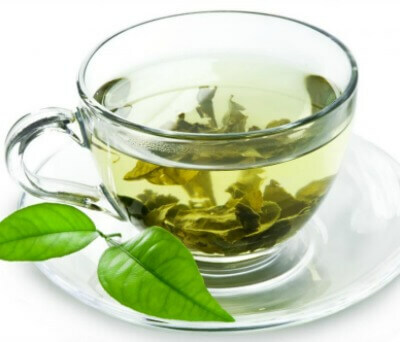 So be sure to drink 4-6 cups of Matcha green tea every day to treat and reverse your diabetes, or if you don’t like the bitter taste, take green tea extract instead. One of the big benefits of bitter melon for diabetes suffers is it regulates blood glucose levels throughout the whole body, rather than certain tissues or organs. Because it helps to prevent insulin resistance and also increases pancreatic insulin secretion, it's ideal for both type I and type II diabetics. Use a juice extractor to extract the juice and drink a glass of bitter melon juice on an empty stomach each morning. You can also make up a bitter melon tea to drink in the winter months for extra benefit. This herb works very well to treat the symptoms of both type I and type II diabetes. Several clinical trials have shown that fenugreek seeds and the powder help to lower blood glucose levels and improve glucose tolerance. Because fenugreek is high in fiber, it helps to slow down the absorption of carbohydrates and sugars, which is a real blessing for diabetes suffers. You can either buy fenugreek seeds or the powder from most health food retailers or online. Either soak two tablespoons of fenugreek seeds in water overnight and then drink the water along with eating the seeds, or consume two tablespoons daily of fenugreek powder (mixed in a smoothie is best). Fig leaves really are a terrific natural treatment for diabetes. They contain some powerful anti-diabetic properties and studies have shown that diabetics need less insulin when taking fig leaf extract. The best way to have your fig leaves is by making up a tea and drinking this in the morning with your breakfast. You can also boil up some fig leaves in water and drink this concoction throughout the day for extra benefit. 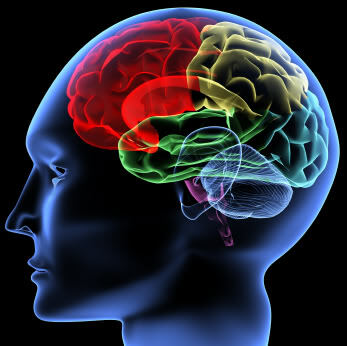 Following a good exercise program and eating correctly are two “no-brainers” when it comes to effectively treating both types of diabetes. The simple fact is, you must eat the right foods and avoid the wrong foods if you want to manage this disease successfully and eventually cure it for good. And as much as you may struggle with it in the beginning… you need to do some regular exercise as well! Now if you have diabetes (which is highly likely and probably the reason why you’re reading this article) then it’s very likely you’ve already visited a dietician and had a basic eating plan mapped out for you. So we’re not going to go into this too much. What we are going to do though is list some of the foods you need to avoid and some of the foods you need to be eating more of, just in case. 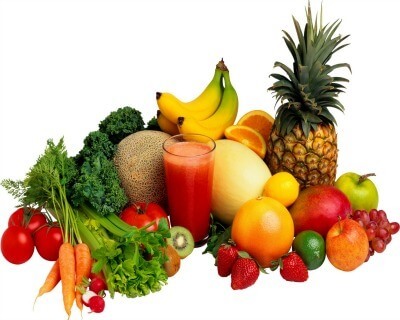 Fruits and Veggies – You definitely can’t go wrong eating these foods. For maximum nutrition and benefit, always try to eat them raw if you can. Home appliances such as the Nutribullet or Nutri Ninja are excellent for making these foods easily edible (or drinkable) if you aren’t in the habit of eating them on a regular basis. The best fruits and vegetables for diabetes sufferers are avocados, legumes, green veggies, red apples, watercress, asparagus, tomatoes, berries, cucumber, black plum (Jambul, Jamun), Indian gooseberry (Amla), mangoes and mango leaves. Herbs, Spices and Seeds – Using herbs and spices in your cooking as much as possible is a sure-fire way to get the full health benefits of these amazing plants. Certain herbs, spices and seeds can really help with diabetes and the accompanying symptoms. Aside from the ones already discussed, the herbs and spices and seeds you also need to be including in your daily diet are ginger (use it in your cooking along with making a lemon, cinnamon and ginger tea to drink), ginseng, chia seeds, salacia, aloe vera, and cocoa (sugar free dark chocolate). Whole Grains - Whole grains are terrific for controlling diabetes because they’re slowly digested by the body and don’t spike your insulin levels. So they’re not only a much healthier option than refined or processed foods, they help to control blood sugar levels and keep them within the normal range. Oatmeal in particular is very good for diabetics and can be used to make a delicious porridge or added to a smoothie. This wonder food should definitely be part of your breakfast regimen every morning. Fermented/Cultured Foods – Eating fermented foods every day is a definite "must do" practice for all diabetes sufferers. Cultured foods recolonize the gut and colon with crucial “friendly” bacteria. Research is now finally beginning to prove that these beneficial bacteria do indeed help with auto-immune diseases such as diabetes by significantly boosting the immune system (70% of your immune system is actually located in your gut), along with destroying all harmful bacteria and pathogens so that organs such as the pancreas can function properly. The best way to get your fermented foods is to culture them yourself. And don’t be put off by this, it’s actually very simple and easy to do. Take the time to check out this handy website, which gives you everything you need on how to go about it… ProbioticsForHealth. In addition to this, it's also a good idea to take a high quality probiotic supplement every day to make sure that you're getting enough good gut bacteria. One recent study even claimed that both type I and type II diabetes can be cured (they actually use the "cure" word in the article) by taking a daily probiotic supplement... Both types of diabetes could be CURED by a daily probiotic pill that 'rewires' the body. It's important to note too that these "friendly" probiotic bacteria have a high turnover rate, which means you need lots and you need to keep your supply up. And also remember this... You can never overdose on these healthy little critters... ever, so don't be afraid of having too many. In fact, the more you consume every day the better! Water – Yes, good old fashioned H20 is still the best liquid you can drink by a long shot. It helps with digestion of food and flushes toxins out of the body. Make sure you drink plenty of clean FILTERED water throughout the day, especially after every meal as this will help to normalize your blood sugar levels. If plain water is just too boring for you then simply add a slice or two of lemon for taste. In fact, lemon is actually very good for diabetics because it boosts the immune system and aids in digestion, along with helping to balance your body’s crucial pH level. Just remember, only drink filtered water. Tap water is laced with fluoride and toxic chemicals so do not drink it. ...It's worth noting here that how you eat and drink your foods and liquids makes a big difference to the controlling of your diabetes as well. Make sure you eat your food slowly and chew completely before swallowing. And when it comes to drinking, sip your drink rather than gulping it down. Also consume 4-6 small meals a day rather than the traditional 3 big meals. Smaller meals help your body maintain normal blood sugar levels and you also consume less calories when you eat small meals. Of course, this will help you lose any unwanted pounds and move you into your normal healthy weight range as well. Be sure to make full use of your Nutribullet and add plenty of fresh fruits, veggies, herbs, spices, whole grains and seeds to your mix. A healthy "anti-diabetic" smoothie is a great way to start your day! Refined and Processed Foods – Yes we’ve mentioned these a few times already, but it can never be said enough. These foods are shocking foods for all diabetics (in fact, they’re shocking foods for everyone!) The biggest problem with refined and processed foods is they cause severe and radical fluctuations in insulin levels, plus they contain toxic chemicals and additives that do absolutely nothing for your health. So if you want to control, manage, and eventually cure your diabetes for good, these foods must be eliminated from your diet. If not, you'll simply be fighting a losing battle. And it’s actually very easy to know which foods you should be avoiding… If they’re made by man, processed by man, or altered by man in any way, avoid them like the plague! Easy! Trans Fats – A study published by The American Journal of Clinical Nutrition found that people who ingest trans- fatty acids from foods such as margarine have a much greater risk of developing adult-onset diabetes. And in the famous Harvard Medical Nurses Health Study, published in the Journal of The American Medical Association, they found that the people who used margarine in their diet had 75% more cardio-vascular disease and heart disease than the people who used butter (diabetes patients are at a much higher risk of developing cardiovascular disease and heart disease than non-diabetics). 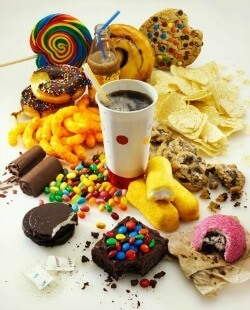 Trans fats are commonly called “plastic fats” because they bend and twist your DNA out of shape just like plastic! Final note: Following a healthy diet and eating plan is really not that complicated. Just make sure you eat plenty of naturally fermented and whole foods including lots of fresh fruits, herbs and vegetables, and avoid sugar, trans fats, and processed carbs whenever you can. It's as simple as that! Following a regular and specific exercise regime is crucial for reversing diabetes. When you exercise, your muscles burn up the sugars that are stored in your body for energy. And new research is now finding that short, intense, “burst” workouts are actually the best for both type I and type II diabetics. This form of training (high intensity interval training) will either lower or raise blood glucose levels, depending on the body’s particular need. Remarkably, it’s been discovered that for adult-onset diabetics it will lower blood sugar levels whilst for type I diabetics it actually raises insulin levels! 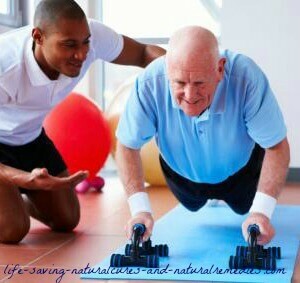 For diabetics who are busy and stretched for time, this style of exercise is especially ideal. If you have type I diabetes then make sure you have a read of this excellent article on high intensity interval training for juvenile diabetics… Exercise for Type I Diabetics. And if you have type II diabetes, be sure to have a read of this recently published study on the benefits of high intensity interval training for adult-onset diabetics… Exercise for Type II Diabetics Study. Personally, I'm a big fan of this style of training. After being involved in the health and fitness industry for over 30 years, I've still yet to see another form of training that works better (and faster) for fitness and weight loss. I've found this style of training works very well when used in combination with weight training (the best form of exercise in my opinion). This is one of the reasons why gym classes such as Les Mills Grit are packed out all of the time! If you’re interested in looking into this further then here’s a good starter book for you to read on this… HIIT Training. Or, if you haven’t had much experience with exercising and physical fitness in the past then it might be a good idea to find yourself a good gym with qualified (and experienced) trainers and instructors who can help you out. Well that ends this article on natural and home remedies for diabetes. We sincerely believe that you have all the information you need to successfully treat, manage, and eventually get rid of your diabetes for good. But as always, information is useless unless it’s put into practice. So it’s important that you take what we’ve recommended here and apply it consistently for the rest of your life! Will it be easy though? Will there be times when you get sick of it all and you fall off the band wagon. No one’s perfect… and you know what, that’s okay! But when you fall off a horse the most important thing you need to do is get straight back on. The reality is you will more than likely have relapses along the way, so you need to be ready for them. But at the same time, have faith in yourself too. We’ve also had some people comment and say that taking supplements and following the diabetes treatment plan that we recommend is an expensive exercise. And yes we do agree that purchasing supplements, eating healthy, and following an exercise regimen (especially joining a gym) isn't cheap. But when you consider the astronomical costs of medical insurance and private health insurance these days, the cost of implementing this plan is still a bargain in our view. And we like to think of this as an “investment” in your health rather than “insurance” anyway.